← Even for Japan, this is a weird one. I have a huge soft spot for unlikely gadgets that fill a very specific need, so I’m a big fan of stuff from Quirky. OK, well, I’m a big fan in the sense of really liking most of the stuff they put out, but being too cheap to actually buy it. Their “Space Bar“, just to pick a gadget, is a great example of the three-way intersection of a neat design, a practical use, and a price that I just can’t justify. That being said, I can’t really say that they’re overpriced, because they certainly seem to find enough customers at the prices they ask. 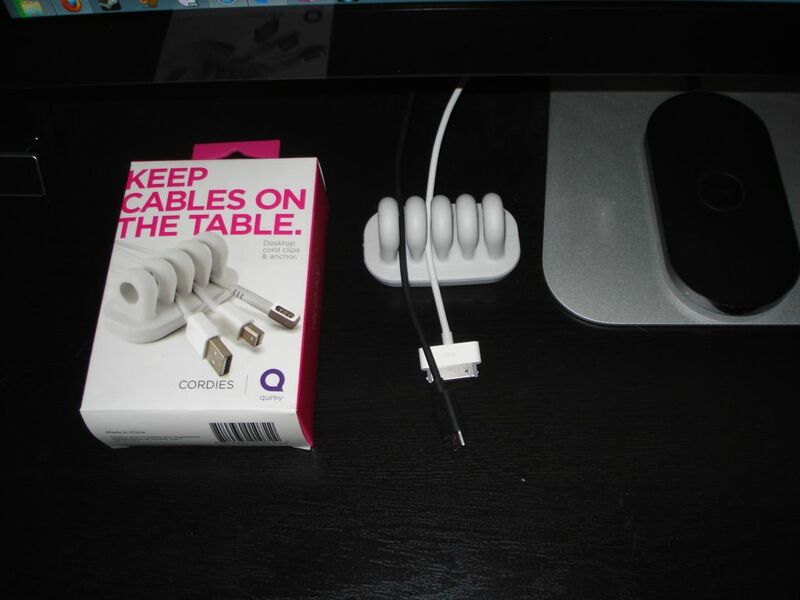 So, it was rather nice to stumble across a stack of “Cordies” cable managers on the clearance table at my local Staples, because they’ve been on my “I definitely have a use for that” list for a while but I’ve always balked at spending 10 bucks each for something that I can get done with a binder clip even if it doesn’t look QUITE as nice. At $3, however, I bought two. They turned out to be nice and heavy (rather heavier than I expected, which is a good thing) and entirely suited for the task of keeping my sync cables from sliding down behind my desk. So uh. I guess I really don’t have anything extra to add other than that, if you like cable management and have a Staples nearby, you could do worse than to check their clearance stock.